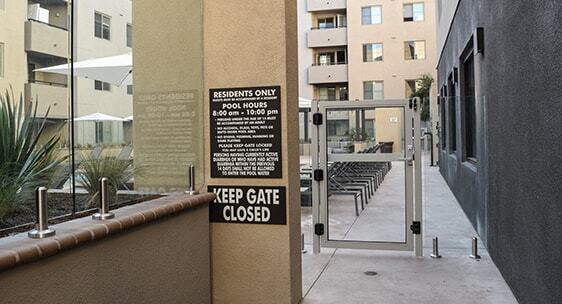 The complete re-design of 1724 Highland apartments included replacing the existing iron pool enclosure with a glass pool fence from Aquaview. 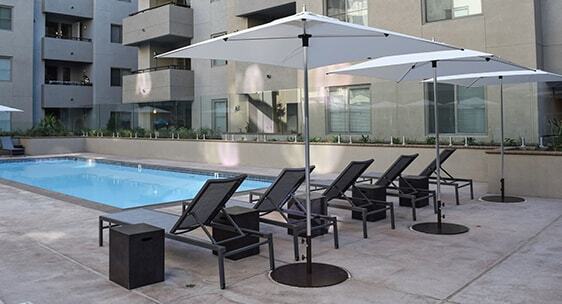 The resort style pool deck is the focal point of this multifamily complex, located off the world famous Hollywood & Highland intersection in Los Angeles. 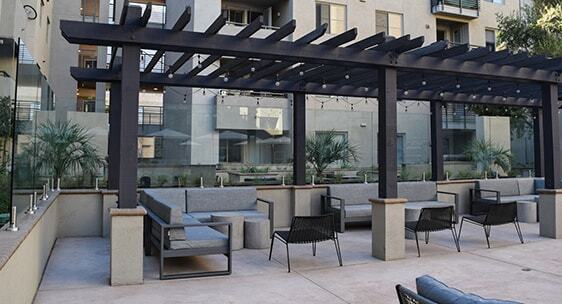 The new clear view fence complements the fresh, modern aesthetic. 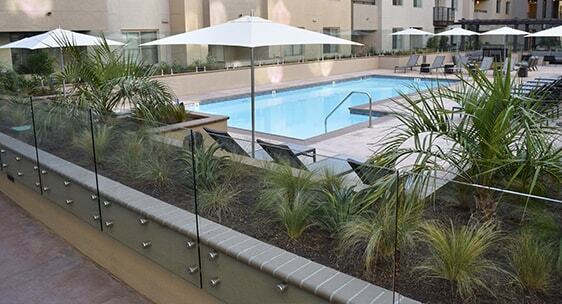 Along the concrete planters, our standoff railing was used to allow flush mounting with the planter wall.